Winner at the 2016 App Design Awards, Buzinga helps social-good app Ice Effex launch with international virality – NY Daily Times, Daily Mail, Border UK, Exclusive Feature on US TV Show ‘The Doctors’. 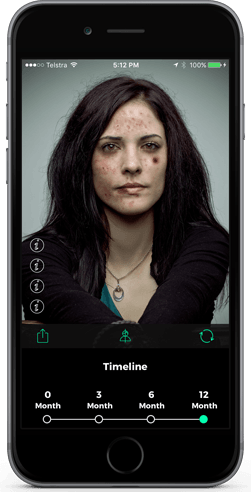 Ice Effex is an innovative mobile app that uses image distortion facial-recognition technology to give users a shocking insight into how they’d look as an ice addict. With ice related crime and addiction more than tripling in regional Victoria in 18 months, the motivation to build this application was to design a proactive educational experience for youths across the world by showing them what they’d look like with heavy use of methamphetamine. ‘We need to combine the two things all teenagers love: taking selfies and using technology,’ Ice Effex pioneer Hayden Cooke said. ‘Hopefully the image of themselves damaged will be seared in their brain if they’re ever out and offered ice,’ he said. ‘If you see the effects on someone else you can easily disassociate yourself from that. But to actually see yourself in that way, hopefully that makes a difference,’ Mr Cooke added. How do we design an experience that will shock, engage and ultimately change human behaviour? When Cooke and his business partner Trinity made the decision to take a product to market, they knew they needed more than just a developer. To fulfil the vision of the product, they needed a long-term technology partner who knew how to successfully onboard users and keep them coming back. With a key focus on native design and on-boarding for high impact engagement accompanied by a strategic product development roadmap for future iterations, the app was out in the market within months. 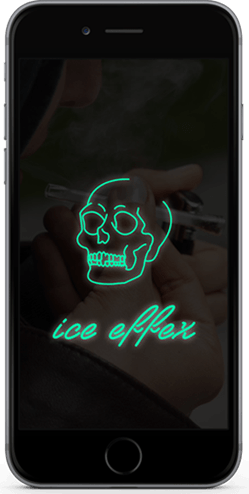 Ice Effex mobile app launches to thousands of users with international virality. Within 1 month of launch, the app had made international headlines, featured across radio stations and publications including The NY Daily News, The Daily Mail and News.com.au with an exclusive feature on US hit TV show The Doctors. 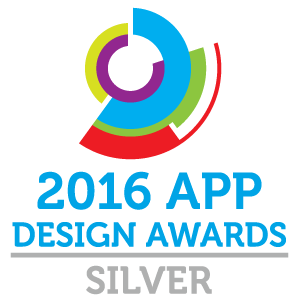 With downloads from over 75 countries, the app excitingly took out Best Mobile Marketing Campaign at the 2016 App Design Awards.